Please consider the white paper Canceling Reactive Currents with USES® in relation to The troubles with capacitors. After the installation of the USES® XL-R residential unit, a certified electrician can verify the performance of the unit, at any time, through a method called timed interval sampling. This is a Department of Energy methodology to validate performance in a dynamic electrical environment. The electrician simply connects his electrical data logger to the incoming power source on the line side of the customers distribution panel main breaker. 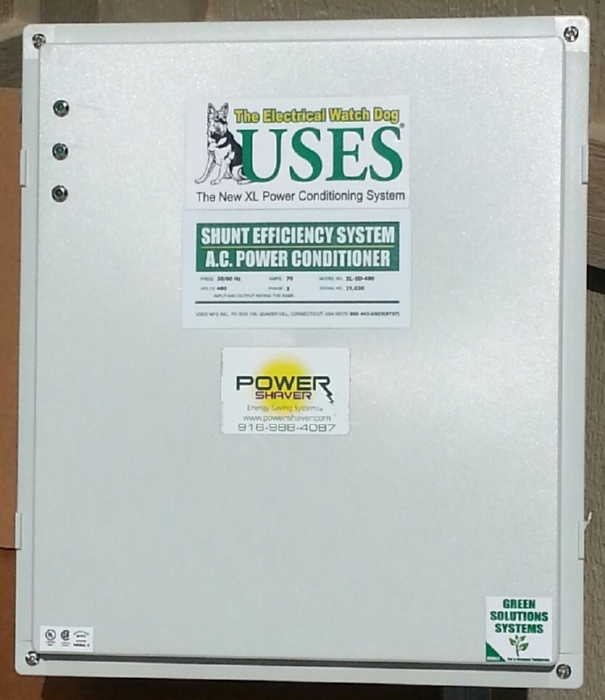 The electrician will then turn the USES® XL-R unit on and off in equal timed intervals. When the XL-R unit is on, the demand from the electric supplier will be reduced and efficiencies increased as shown in the attached recordings. This process can be conducted at any time and on any load configuration over the life of the unit. 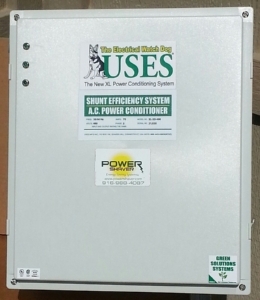 Power Shaver® offers standard and custom-designed modular efficiency and protection systems that are installed in parallel to the electrical system to reduce the kW demand from the utility provider. Contact Power Shaver® now to save in your facility. How does USES® save you money? 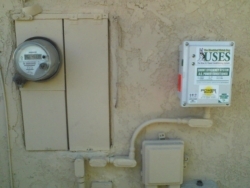 Our technology reduces the wattage and total current demand through the utility meter, so you buy fewer watts to do the same job. POWER SHAVER® assists our customers to extend equipment life through the reduction of friction and heat in your equipment, protect against electrical spikes and surges, increase the electrical panels capacity and enjoy a short payback period. This means big savings for you! © 2014 Power Shaver® Energy Saving Systems. All rights reserved. The information and content with in this Power Shaver site is Property of Power Shaver® Energy saving Systems, USES® MFG INC. and or an authorized representative of Power Shaver® and may not be used with out expressed written permission for any purposes.